one of these things is not like the other………………. Before we moved, we handed out, mailed out and passed out all sorts of cards and flyers with our new street address on it. 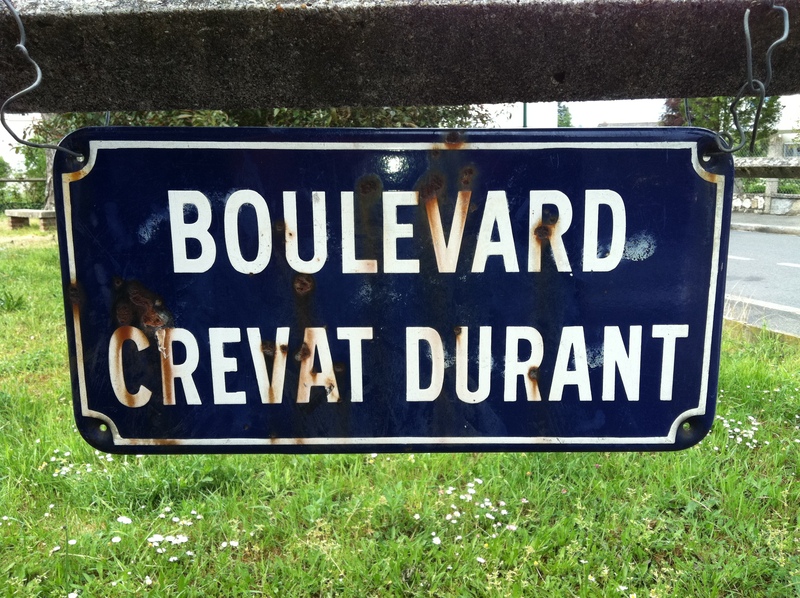 Our new street is named Boulevard Crevat Durand. For those of you who need help identifying the problem here, our street sign actually says, “Durant” with at “t” instead of a “d.” I have to admit that I was in a bit of a panic when Tim got home – all I could think was that all of the mail we were having forwarded from Vermont was actually going to a different address, or worse yet, sitting in some bin in France as undeliverable. Not good. I couldn’t believe that could be possible, so I had to go get evidence. Tim was right. 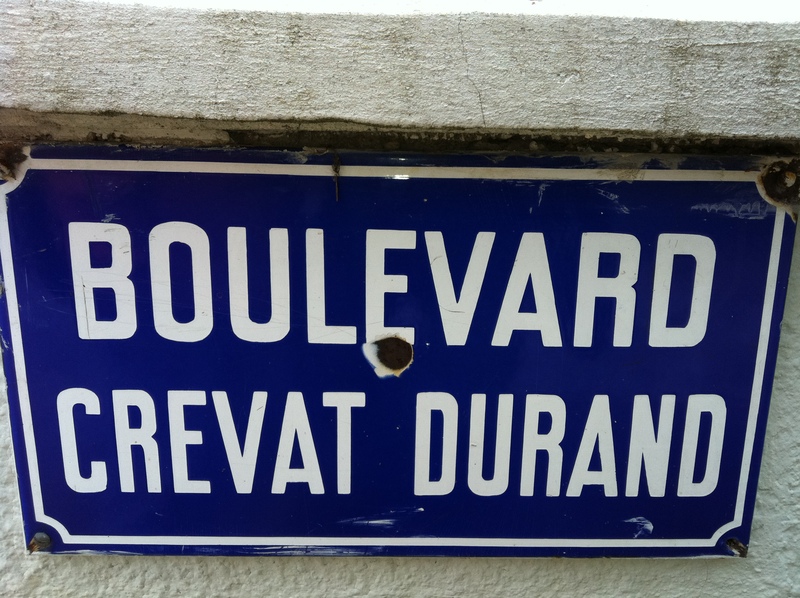 One street – two names. Only in France. This entry was posted in language, what i learned today. Bookmark the permalink.